At any time 2017 or 2018, did you, your parents or anyone in your parents’ household (from question 73) receive benefits from any of the federal programs listed? Mark all that apply. Answering these questions will NOT reduce eligibility for student aid or these programs. TANF has different names in many states. Call 1-800-433-3243 to find out the name of your the state’s program. If you, your parents, or anyone in your household receives any of these benefits after filing the FAFSA but before December 31, 2018, you must update your response by logging in to fafsa.gov and selecting “Make FAFSA Corrections. 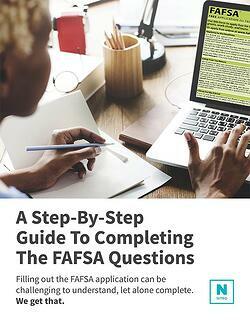 This series of questions aim to determine if your parent(s) received any form of supplemental government (federal or state) assistance for living expenses, which may qualify you for Federal financial aid. Check “None of the above” if none of these benefits were received. Please note, the names of these programs may differ from state to state. These names shown here are the most commonly used.